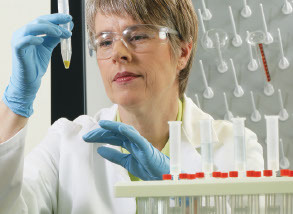 Ideal user flexibility and comfort make Thermo Scientific electronic pipetting systems a necessity in every lab. The proven performance of index-finger pipetting action, electronic tip ejection and now Thermo Scientific™ ClipTip™ interlock technology provides greater confidence in your results. Electronic tip ejection, index finger pipetting action and Thermo Scientific™ ClipTip™ technology make the Thermo Scientific™ E1-ClipTip™ Electronic Single Channel Pipettes ideal for repetitive pipetting tasks with microcentrifuge or test tubes. The NEW My Pipette™ Creator app enables programming of E1-ClipTip from the comfort of your PC. With enhanced versatility and customization, the Thermo Scientific™ E1-ClipTip™ Electronic Multichannel Pipette automates daily 96-and 384-well microplate pipetting tasks with the sealed in security of Thermo Scientific™ ClipTip™ technology. Enjoy pipetting again with optimum functionality for every application and user preference. The NEW My Pipette™ Creator app enables programming of E1-ClipTip from the comfort of your PC. Perform sample transfers between virtually any tube, rack, microplate or horizontal gel box quickly and efficiently with the Thermo Scientific™ E1-ClipTip™ Equalizer Pipette. Adjustable tip spacing allows you to set the distance between tips by simply sliding the scale to expand or contract to the desired labware format. The NEW My Pipette™ Creator app enables programming of E1-ClipTip from the comfort of your PC. Achieve improved ergonomics and performance in standard pipetting applications with Thermo Scientific™ Finnpipette™ Novus electronic single channel Pipettes. The user interface simply displays all pipetting actions, and the index-finger trigger pipetting action prevents common Repetitive Strain Injuries (RSI). Simplicity, comfort and functionality—the Novus will be your new best friend in the lab. Access everything needed for pipetting in Thermo Scientific™ Finnpipette™ Novus GLP Kits—all-inclusive kits featuring ergonomic and easy to use Finnpipette Novus pipetters. Revolutionize the way you pipette with the new web-based pipetting app available in Thermo Fisher Cloud. With the My Pipette Creator app you can take advantage of efficient, centralized programming and sharing of protocols between pipettes and your colleagues. You can also download and share pre-programmed protocols for many of your favorite reagent kits, all from the comfort of your computer.